Lady G is quite the savvy promotional machine, chewing I’m sure on her latest media crusade with meat dress in tow at this year’s VMA’s. At the end of the evening when she received the award for best video (Bad Romance) I wondered if she had to tenderize herself before walking on stage. I love the creative and true musicianship of Lady Gaga and have two points to make. 1) Focus. It’s a word that my Creative Director and Music Manager, Larri Cochran has been instilling in me over the past several months. I’m at my best if I keep my energy and focus on being the best deejay I can be without distractions. I think the same holds true for Gaga. She’s at her best making music. Created or not, Gaga has had several distractions of late. Her health, fashion and social behavior just to name a few. What’s missing is the music. My mission is to keep the dance floor full and the party in high gear. When artists create memorable and likeable music like “Just Dance” and “Bad Romance” my job is easier and that much more fun for my clients. My advice to Lady G: focus on the music and bring it on your next album. 2) With her hype and publicity, Lady G has an opportunity to impact and educate “little little monsters” with a tool they can relate to; music. Gaga tours with various DJ’s who open for her. Opening DJ’s can have positive impact on others if there is a will and plan in place. 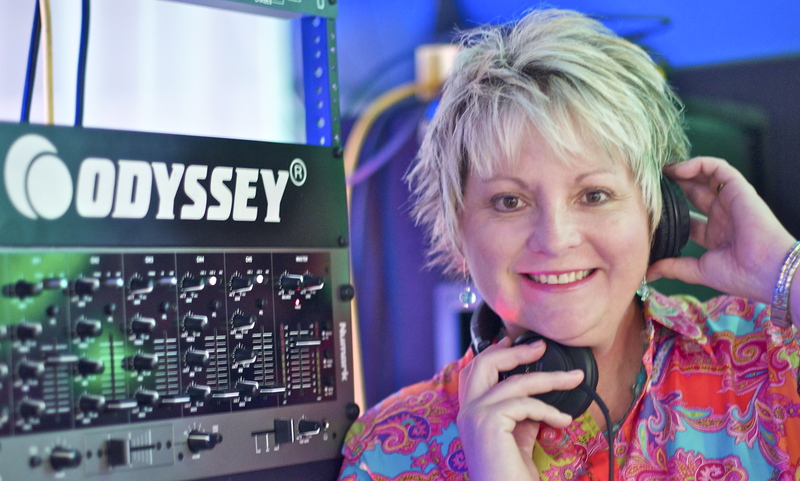 I think Gaga should consider hiring DJ Lori B and Martini Productions to be her goodwill ambassador DJ associated with the Monster Ball Tour. At each tour stop I can DJ a mini-set and have positive discussions with youth at schools, community centers and clubs. Topics of discussion can be tolerance of others and the importance of education, tenants that Gaga subscribes to. After a day with the kids I can then transition to crank up 15,000 Gaga fans at the concert venue with my passion, energy and love of the music. I can dream can’t I? Each disc jockey is unique having his or her own flair or style. In my opinion there is no right or wrong style. The only style that matters is what a client or potential client is comfortable with. I wear two hats. One as a DJ playing music, the other as a manager. There are a lot of moving parts during the course of each event. During receptions, events and parties; I coordinate the introductions, announcements, guest requests, lighting, playlist and equipment. My “style” is one that strikes a balance of properly managing an event along with high energy and confident interaction with guests. My goal is to ensure all my clients are happy with the results of their party, Martini style.